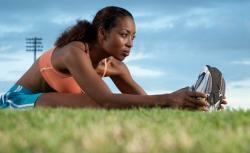 Ditch your notebook and use your phone to keep track of your runs. Slate’s Farhad Manjoo, with the help of his trusty hand-model sidekick, reviews RunKeeper, a social-media app that gets you into shape, in this episode of Killer Apps. After you’ve watched this, watch Farhad review an app that helps you train like a gamer.